The Parrish Art Museum is committed to making its collection, building, and programs accessible to all audiences. To further that goal Parrish educators, in partnership with regional agencies, have developed Access Parrish–a series of learning experiences specifically designed for youth and adults with varied needs and abilities. All Access Parrish programs are offered free of charge. 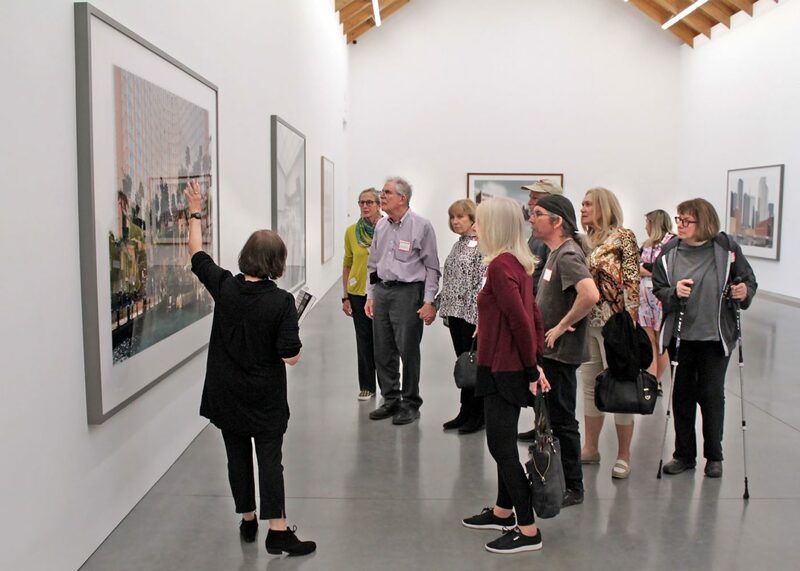 Gallery discussion and activities tailored to individuals with Alzheimer’s or dementia (and their care partners) are offered monthly, in partnership with the Alzheimer’s Disease Resource Center (ADRC). Pre-registration is required for the programs, which include a boxed lunch at no charge. Please contact Michele Payne, Director of Programs at ADRC at 631-580-5100, x304 for more information and to register. ADRC at the Parrish 2019 Program Dates: Wednesdays, February 13, March 13, April 17, May 8, June 12, July 10, August 14, September 11, October 9, November 13, and December 11 from 10 am to 1 pm each day. 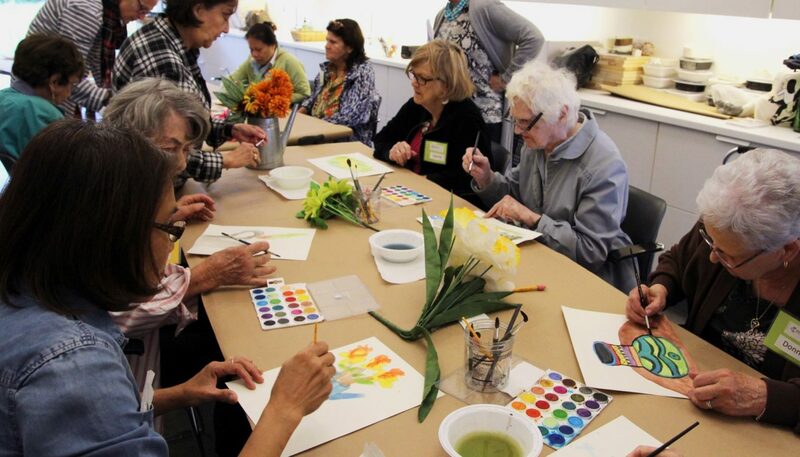 Developed in collaboration with Stony Brook–Southampton Hospital’s Center for Parkinson’s Disease and the American Parkinson’s Disease Association, PD Paint at the Parrish is an arts program designed specifically for individuals with Parkinson’s and their care partners. Pre-registration is required for the programs, which include a boxed lunch at no charge. Please contact Patti Cronin, Stony Brook–Southampton Hospital’s Wellness Program, at 631-726-8800 for more information and to register. PD at the Parrrish 2019 Program Dates: Wednesdays, February 6, March 6, April 10, May 1, June 5, July 3, August 7, September 4, October 2, November 6, from 11 am to 1 pm each day. Access Tours and Workshops for groups of children, families, or adults are planned with program partners and are also available upon request. Group visits, which include a tour and studio experience, take place at the Museum. Offsite programs are available for those unable to visit the Museum. Please contact Education Director Cara Conklin-Wingfield at wingfieldc@parrishart.org or 631-283-2118 x121 for more information. Access Parrish 2019 is supported in part by Bobbie Braun/The Neuwirth Foundation and Milford D. and Janice B. Gerton. 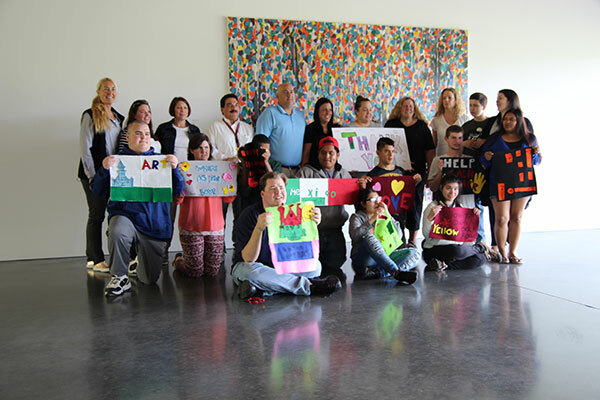 Access Parrish was launched in 2016 with generous pilot support from the Long Island Community Foundation and additional support from the Herman Goldman Foundation. The Long Island Community Foundation provided ongoing support in 2017 along with Bobbie Braun/The Neuwirth Foundation and the Town of Southampton.